POLKA developed this basic drinking set in cooperation with the Viennese Vintners. 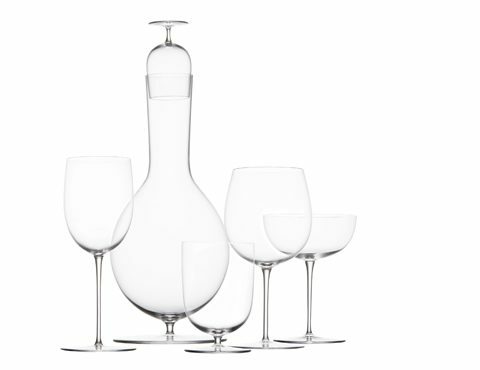 The drinking set – consisting of white wine glass, red wine glass, water glass, champagne glass, schnapps glass and a carafe – presents a contemporary alternative to the traditional range. The aim was to develop an uncomplicated, elegant and versatile set to be used often in daily life. The champagne coupe can also be used for dessert, and the water glass for beer. 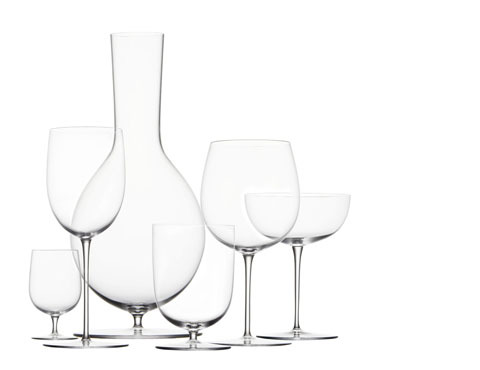 Over the course of numerous discussions and tastings together with the vintners of the Wien Wein Group, POLKA developed the forms of the two wine glasses which allow a wide sprectrum of different wines to be enjoyed. The name is a homage to the well-known wine ‚Gemischter Satz’, which recently received the prestigious Slow Food award. In the development of this series, POLKA was inspired by the charming variety of forms that can be found in old glass cupboards. 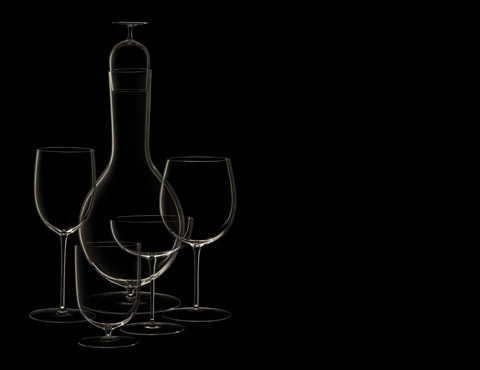 Each glass has its own character, and is produced to perfectly suit its purpose. Beside this functionality the delicate muslin mouthblown glass is a means to celebrate the luxury in daily life.